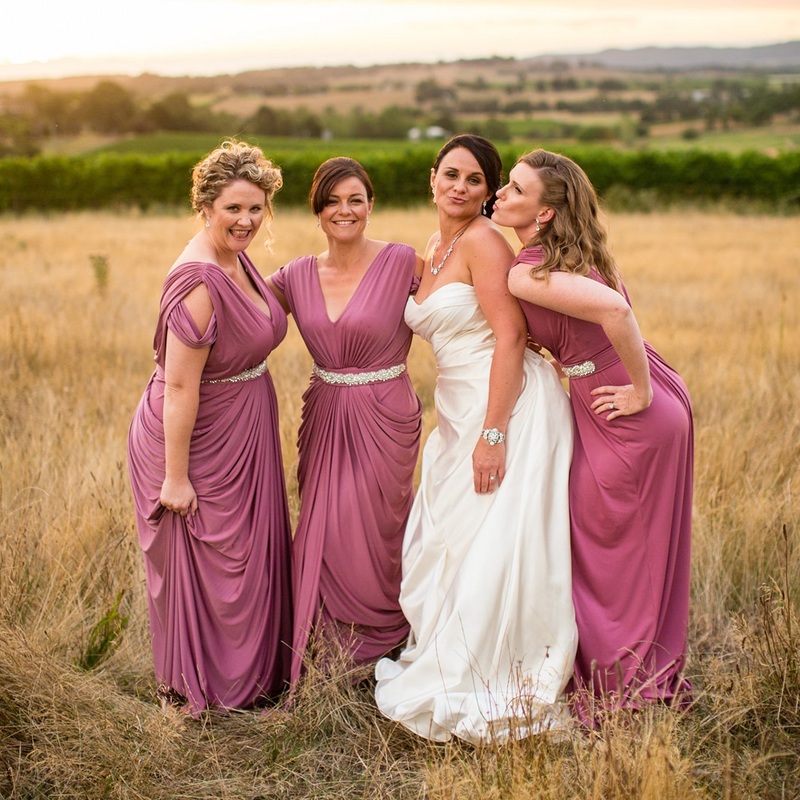 Glamorous in grassy plain, the bridesmaids are wearing Darla and Hailey long dresses in rich Old Rose. Our Darla features a deep-V neckline, a matching belt, and a column skirt gathered at the waist. Hailey dress features a deep-V neckline, an overlapping bodice, a low back, and a draped a-line skirt.